Hello lovelies, are you enjoying this holiday season? I must say, the week between Christmas and New Year is almost always a bit of a drag for me :(. I usually imagine myself resting and enjoying these slow days, but in reality I just start feeling unproductive and anxious most of the time. So this year I adjusted my idea of recharging and instead of sitting around forcing myself to relax, I decided to include some just for fun sewing in my days. I almost forgot how wonderfully freeing it feels to sew with no deadline or commitment in mind :). .... and of course I needed a matching itty bitty pouch for my stitch markers, scissors, and needles. These were not time consuming projects at all and I thoroughly enjoyed sewing them up. Plus, I got to use this super, super fun Essex Linen by Sarah Golden. It's such a perfect fabric for one's project bag, don't you think? Wishing you all a happy, peaceful, creative, and most of all joyful 2018 !!! 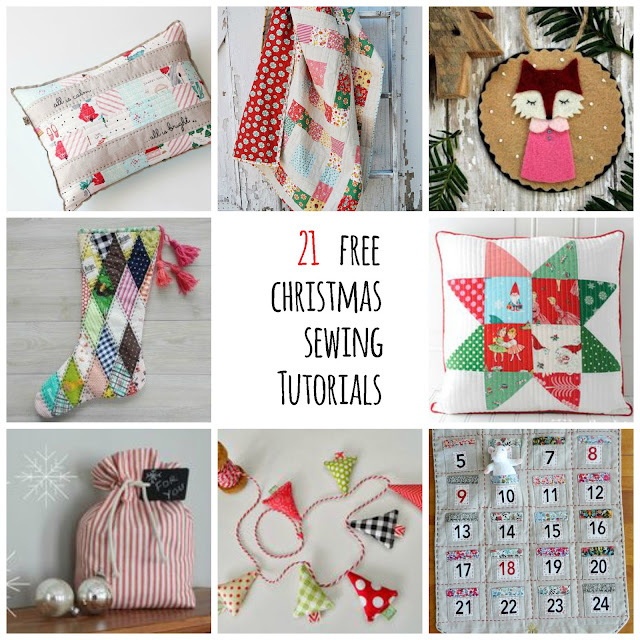 in case you're in a mood for a bit of last minute Christmas sewing, I have a collection of 21 Free Christmas sewing tutorials for you. Just click here to be taken to the original post. Happy sewing and Merry Christmas to all who celebrate !!! How are things? Have you been busy? Any fun projects you've been working on? It's been a while since I popped in here, sorry for disappearing on you like that :(. Things have been crazy busy lately, mostly in a good way though so no complaints here. And, even though our move is not happening for a few months, I just had to whip up this super adorable passport wallet. I used Amber's fabulous pattern which comes in two sizes. I made a four passport one, but I'm planning on making a six passport wallet as well. We also got to celebrate this little cutie's 18th birthday!!! 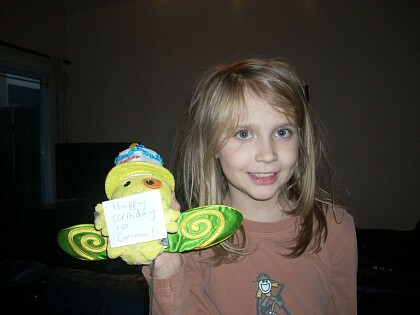 I feel like I just blinked and somehow my first baby is an adult now. How is that even possible? And, as if all that wasn't exciting enough, I got to spend a few days this week in Denver recording a Craftsy class. It was super, super exciting, and incredibly stressful too, of course. But I'm very happy I said yes to this opportunity and can't wait to share with you more in the coming weeks. Well, that's me for now. I have plans for some fun, no deadline sewing this weekend and I can't wait. Wishing you all a relaxed and creative weekend.